Asos home-grown brand Reclaimed Vintage is perfect for those retro style lovers. People who can’t live without velvet and leather in their closets. This limited collection features boho-swag, lots of vintage detailing and military-inspired looks. 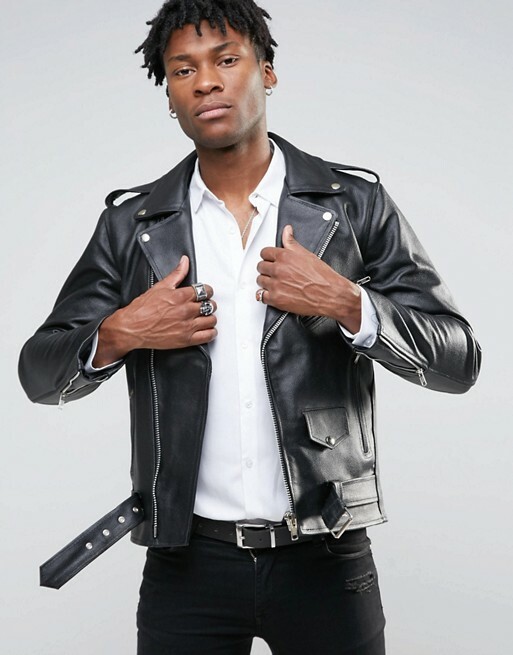 Reclaimed Vintage revisits Levi’s denim, pre-loved leather and vintage fabrics like velvet for you to get that inspiring retro look that is so in trend. ASOS claims they traveled the world to find rare vintage pieces and redesigned them. 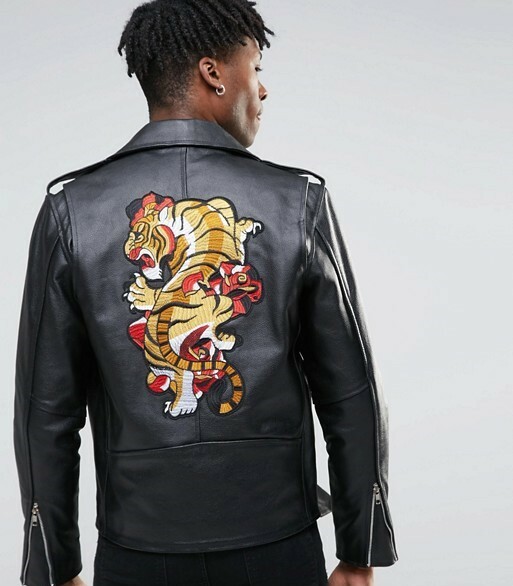 The product we present today is the Reclaimed Vintage Biker Jacket, which looks exactly like every other biker jacket except for the huge Asian-inspired tiger in the back of the jacket. The gold and red details contrast with the dark black leather and give it a really cool vibe. The jacket is quite heavy just like the old ones, which proves its quality. This piece is all lined and has internal pockets. 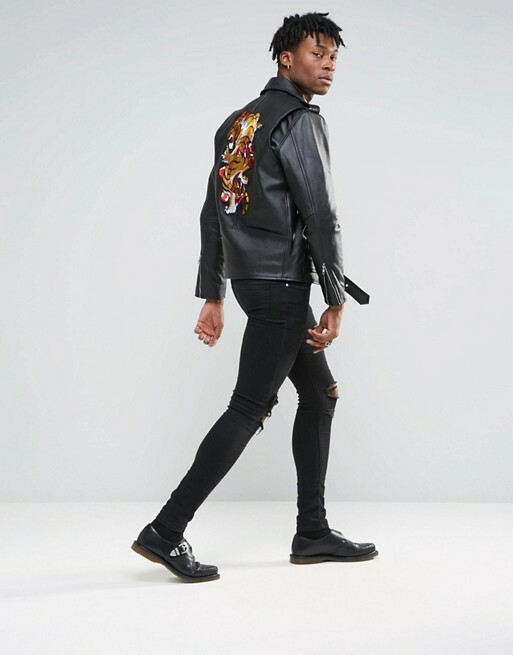 Finally, Reclaimed Vintage is exclusive to ASOS and features uncustomized vintage menswear. As so, this is a limited edition, as many models are no longer produced.